Additionally, he works with numerous clients in the sports industry, including counseling major sports leagues on branded entertainment, intellectual property, and promotional matters; advising both sponsors and properties on the structure and negotiation of sponsorship and endorsement arrangements; counseling agency clients that activate sponsors’ marketing campaigns; advising major sports apparel, footwear and fitness companies on marketing campaigns and IP matters; and advising soccer players on transfer agreements. Mr. Chase has been quoted in Sports Business Journal, The New York Times, The Washington Post, USA Today, and The Associated Press on various legal issues and is a founder of the firm’s sports law group. Mr. Chase is a member of the Entertainment, Arts and Sports Law Section of the New York State Bar Association, the Sports Lawyers Association, the International Trademark Association, and the Copyright Society of the U.S.A. He was a member of the editorial board for the Journal of Sponsorship. 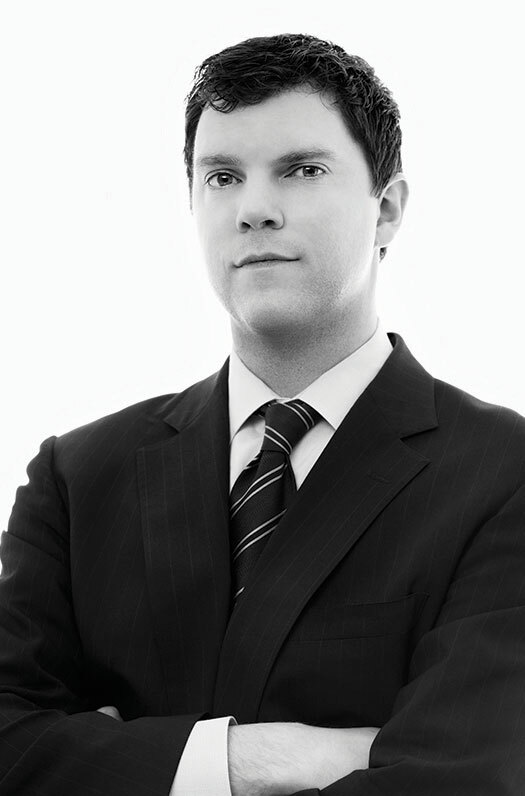 Prior to joining Frankfurt Kurnit, Mr. Chase was a litigation associate at Clifford Chance Rogers & Wells LLP. Mr. Chase is also an accomplished author. His publications include "To Shred or Not To Shred: Document Destruction Policies and the Federal Obstruction of Justice Statutes," which was cited by Chief Justice Rehnquist in the Supreme Court's seminal Arthur Andersen v. United States decision (544 U.S. 696 (2005)), "A Moral Dilemma: Morals Clauses in Endorsement Contracts", which appeared in Sports Litigation Alert (Volume 6, Issue 6, April 10, 2009), and "Fighting for What’s Left of Exclusivity: Strategies To Protect the Exclusivity of Sponsors in the Sports Industry," which appeared in the August 2010 issue of the Journal of Sponsorship. Mr. Chase is an adjunct professor at Fordham University School of Law and the Parsons New School of Design. He is admitted to practice in New York. Christopher R. Chase speaks on "Emerging Issues in Sports" during a panel at the 10th Annual New York Law School Sports Law Symposium. Christopher R. Chase presents “18 for '18” a CLE reviewing 18 significant legal issues from the sports marketing and media industry that arose in 2018 — with a look ahead to what’s in store for 2019. Christopher Chase speaks on “Rights of Publicity and Entertainment Licensing” for PLI’s Understanding the IP License program. Christopher R. Chase will be a judge at Fordham Law’s National Basketball Negotiation Competition. Christopher R. Chase will lecture at NYU’s Tisch Institute for Sports Management, Media, and Business on the topic of ambush marketing. Christopher R. Chase is part of a panel at NYU's Tisch Institute for Sports Management, Media, and Business where he will discuss commercial issues in the upcoming Winter Olympics. Christopher R. Chase speaks on "Rights of Publicity and Entertainment Licensing” at PLI’s Understanding the Intellectual Property License 2017 program in New York, for more information click here. Our Advertising & Public Relations Group hosts advertising agency business affairs executives for a discussion of MSA's, Influencers, technology agreements, SAG-AFTRA contracts and more. Christopher R. Chase participates in a roundtable discussion on "Futureproofing Sponsorship Agreements" with Alex Kelham of Lewis Silkin in London. Donna Tobin leads a discussion on "Protection and Enforcement Options for Furniture Designs", and Christopher Chase speaks on “The Use of Trademarks in Comparative Advertising Campaigns” at the INTA annual conference in Barcelona, Spain. Chris Chase speaks at the ANA Advertising Law and Policy Conference in Chicago on the panel “Stars In Our Eyes: Negotiating Celebrity Talent Agreements for 2020” with counsel from American Express, David + Goliath, and Dunkin’ Donuts. Christopher Chase speaks at the Fordham Law Entertainment Law Symposium on March 4, 2016 where he will address new sources of revenue for recording artists. Christopher Chase speaks on, "All the Licenses You Will Encounter as an IP Attorney" for the NYIPLA. Events like the Olympics, FIFA World Cup, and Super Bowl also feature competition among brand marketers and rights holders - specifically, the high-stakes battles between non-sponsoring brands and official event sponsors. How can brands reference these events? What event symbols may marketers safely use without permission? Read more. Christopher Chase speaks at the CMO Excursion event on Winning Strategies for Sports and Live Entertainment Marketing. Christopher Chase moderates the Table Topic, "Sponsorship Agreements: More than Just a Trademark License" at INTA’s 2015 Annual Conference. Christopher Chase presents the CLE "Preparing for the Runway" at the New York City Bar Association. Christopher Chase is part of the “Athletes, Attorneys and the NFL (New-Fangled Licensing)” panel at the NYSBA’s Entertainment, Arts and Sports Law Section Annual Meeting. Chris Chase and Gavin McElroy attend the Association of Corporate Counsel Greater New York (ACC-GNY) 2015 Winter Celebration. Frankfurt Kurnit will receive an award in recognition of ACC-GNY sponsorship at the event. Christopher Chase and Hannah Taylor present an update on advertising law to members of the Government & Legal Affairs Council. Chris Chase presents "Ad Law 101: Clearance Issues Every Marketer Should Think About" to the Charlotte Chapter of the American Marketing Association. Event Location: Dressler's, 1100 Metropolitan Avenue #125, Charlotte, North Carolina. Christopher Chase moderates a webinar for PLI on Global Social Media Marketing. Christopher Chase speaks on “Adjusting Your Advertising Campaign for the International Stage” at the "PLI Hot Topics in Advertising Law" conference in New York City. Rachel Santori moderates a panel on trademarks and the new gTLDs and Christopher Chase speaks on a panel about trademark issues in advertising at the New York City Bar Trademark Symposium. Christopher Chase speaks at the 18th Annual Fordham Sports Law Symposium. Christopher Chase moderates panels on "Branding Issues for Sports Properties" and "Risks When Using Athletic Endorsers" at the New York City Bar Association. Christopher Chase speaks on the panel "Branding the Athlete" at the Variety Sports Entertainment Summit. Christopher Chase moderates a discussion on "Protecting Athletes’ Trademark Rights" at the annual International Trademark Association conference. Christopher Chase speaks on a panel at Fordham on Fashion Law. Christopher Chase speaks on sports contracts at the Fordham Sports Law Symposium . Christopher Chase serves as a judge at the Fordham Law National Basketball Negotiation Competition. Christopher Chase presents "Best Practices for Brands Negotiating Sponsorship Agreements" at the Promotional Marketing Association's annual Marketing Law Conference. Christopher Chase speaks about morals and disparagement clauses in endorsement agreements at the University of Texas' Sports and Entertainment Law Conference. Christopher Chase speaks on a New York County Lawyer’s Association panel on trademark, right of publicity, and other IP rights of sports stars at the NYCLA's headquarters. The Associated Press, ESPN, CBS News, and Sports Illustrated quoted Christopher Chase on contract issues arising from friction between an NBA star and his sponsor. Chris Chase is quoted on "ambush" marketing at the Olympics in multiple media sources across the country. Read more. Planning to Use Olympic Participants in Your Advertising? There's important news for marketers and agencies considering the Olympic Games in Rio: the deadline for non-sponsors to request an IOC Rule 40 "waiver" is January 27, 2016. Here's a review of Rule 40 and what you need to know to keep your Olympic-themed campaigns on track. Read more. Christopher Chase was a speaker at the Forbes CMO Excursion, providing legal insight and advice for marketers seeking to establish a major sports team or entertainment personality sponsorships. Video link to his talk can be found here, starting at 2:00. January 6, 2015, New York, N.Y. - Frankfurt Kurnit Klein & Selz, PC has elected Christopher R. Chase, Jeremy S. Goldman and Alan Sacks as partners effective January 1st, 2015. Read more. Now that the "Big Game" is over, marketers are turning their attention to the upcoming Winter Games in Sochi, Russia. While it is tempting to comment on and associate with big worldwide events as they are happening, bear in mind that there are rights holders that enforce and protect their rights to these events. Read more. Popular video game manufacturer Electronic Arts recently settled claims brought against the company by former college athletes over EA's use of athletes' personas in its major game series, NCAA Football and NCAA Basketball. Read more. Advertising Age published Christopher R. Chase's article on celebrity endorsements and morals clauses. Read more. In rejecting a right of publicity claim by Hebrew University of Jerusalem, which claims to control the rights to Albert Einstein, a California federal court has ruled that the common law right of publicity under New Jersey law has a maximum post-mortem duration of 50 years. Read more. An Indiana federal court has ruled that the Indiana right of publicity statute, which has the longest post-mortem period of continuing the right of publicity, does not apply to personalities who died before 1994, the year the statute was enacted. Read more. The state of Maine recently enacted the "Act to Prevent Predatory Marketing Practices Against Minors", which will restrict collection of personal information from and marketing to minors. This statute could threaten any type of promotion to minors in Maine, including sweepstakes and contests. Read more. Seeking to grab the attention of customers and break through the clutter of everyday advertising, advertisers will often work with athletes to market their goods and services. Read more. Christopher Chase's article, "Lanham Act - Not Right of Publicity - Provides Best Shot for the "Naked Cowboy" appeared in various databases in the Mondaq distribution service and achieved page 1 Google placements for common search phrases. Read more. URB magazine quoted Christopher Chase in the July/August 2007 article "Grown Folk's Business". The Deli Magazine published Christopher Chase's article "What's in a name?". Read more.